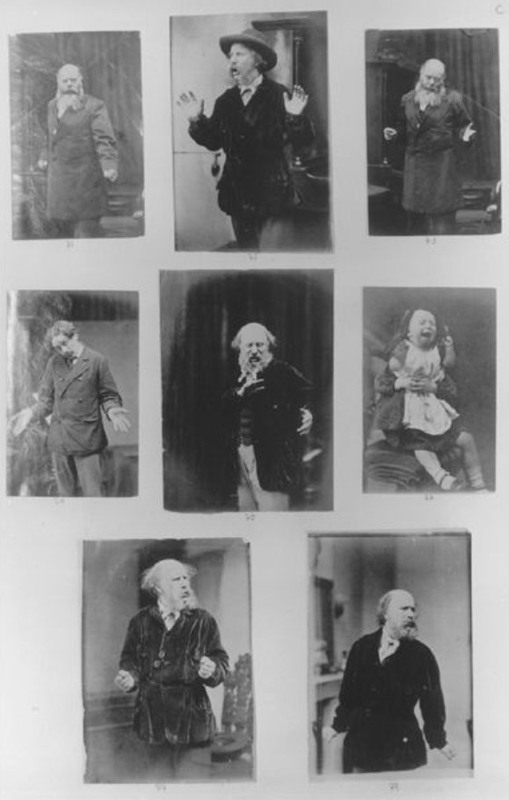 In 1872, some thirteen years after The Origin of Species, Charles Darwin published The Expression of the Emotions in Man and Animals, one of the first scientific texts to use photographic illustrations. 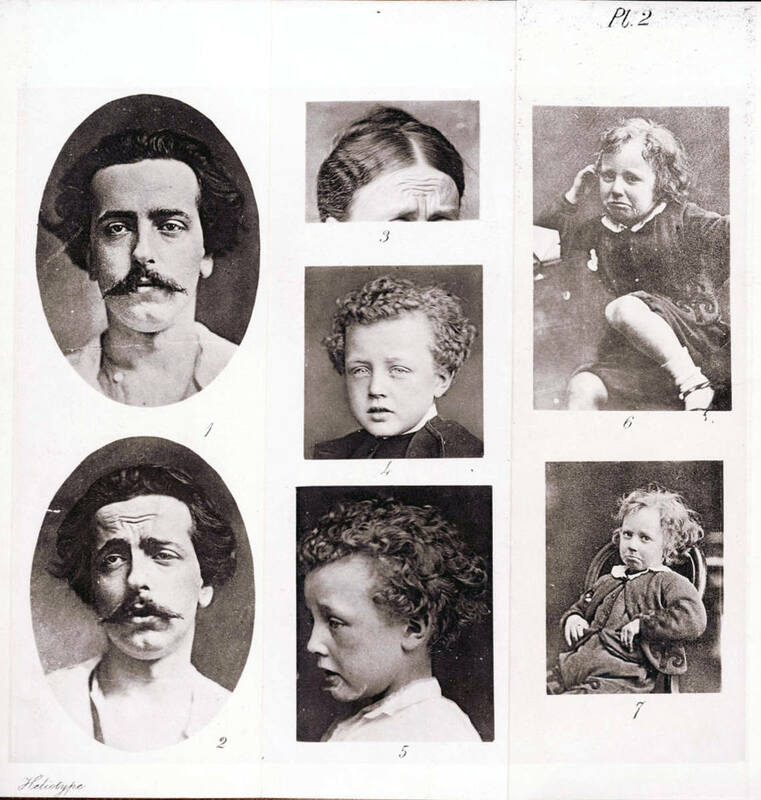 Though the work itself was hardly groundbreaking -- it was based on the research of French neurologist Guillaume-Benjamin Duchenne, who ten years prior used electrodes to explore the human face as a map of inner states and published Mécanisme de la Physionomie Humaine (The Mechanisms of Human Physiognomy) -- Darwin's book is regarded not only as his main contribution to psychology, but also as a pivotal turning point in the history of book illustration, right up there with Alice's Adventures in Wonderland. Darwin's contribution to many fields of science, from evolution to geology to botany, are well-known -- but it turns out he was also a seminal figure in the history of visual culture. 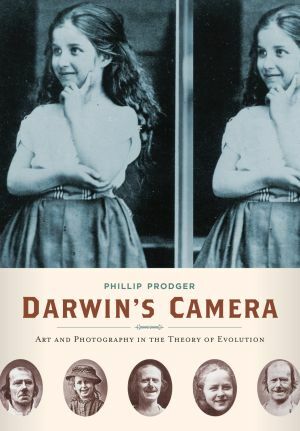 In Darwin's Camera: Art and Photography in the Theory of Evolution, photography curator Phillip Prodger tells the remarkable story of Darwin shaped not only the course of science but also forever changed how images are seen and made. 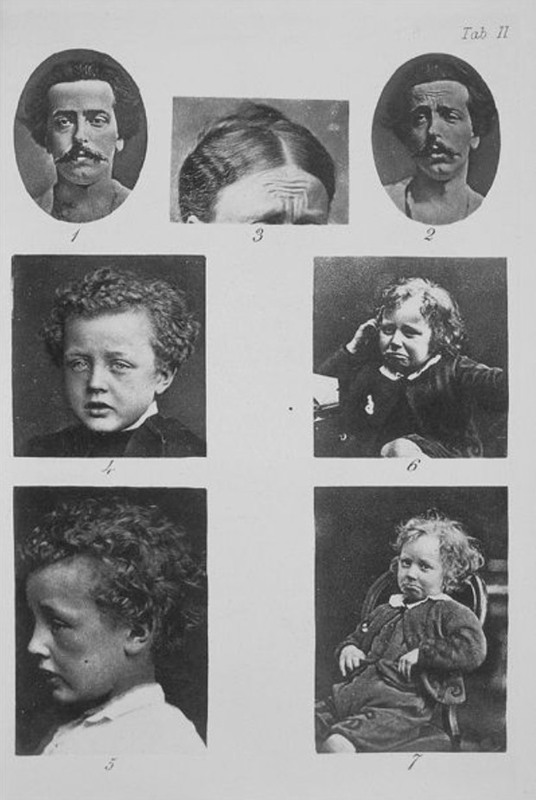 Prodger traces Darwin's tireless quest to capture human emotion at its most visually expressive -- not an easy task in an age when photography was both slow and painfully awkward. 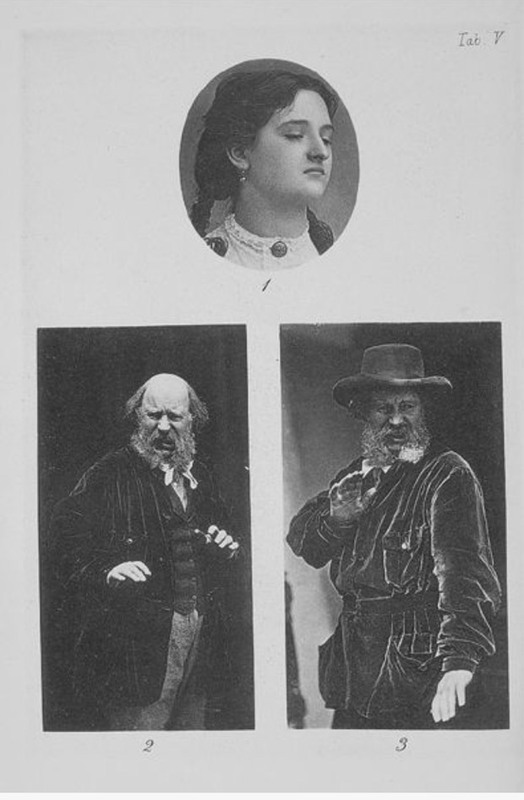 After scouring countless galleries, bookstores, and photographic studios, Darwin finally found the eccentric art photographer Oscar Rejlander, a titan of creative history in his own right, and recruited him to capture the emotional expressions Darwin intended to study. 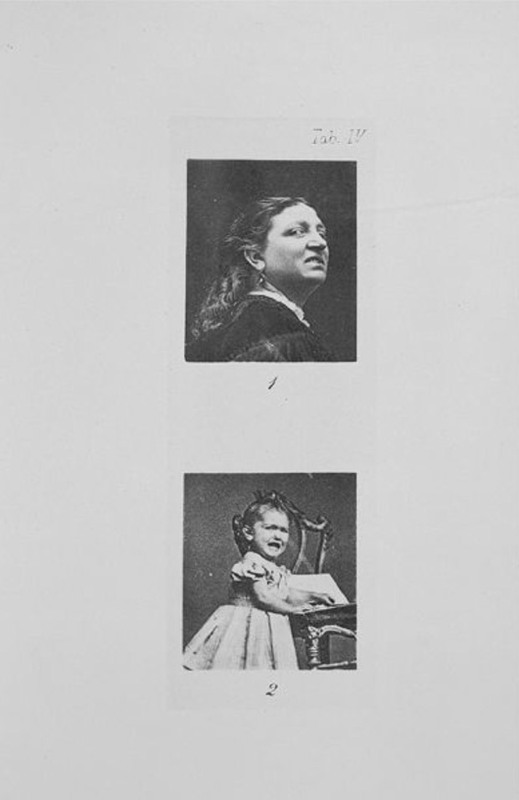 A page of photographs by Oscar Rejlander from the Darwin Archive, 1871-1872. Albumen prints. 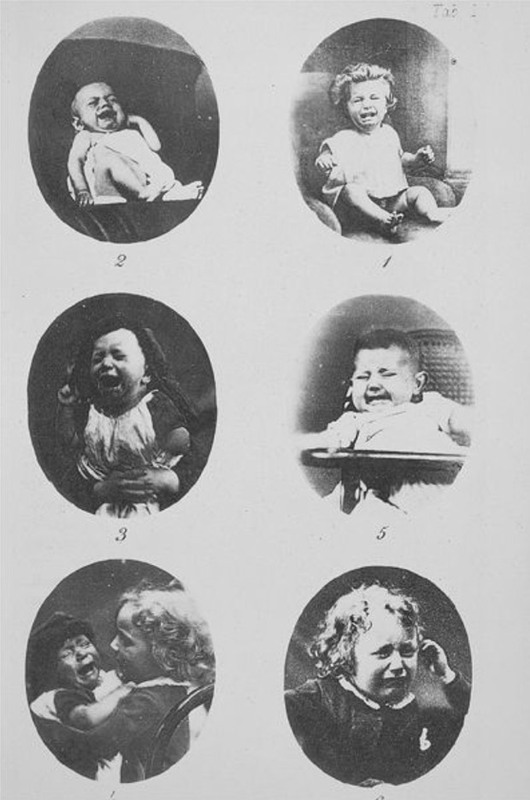 Infants: Suffering and Weeping. Heliotype print. Joy, High Spirits, Love, Tender Feelings, and Devotion. Heliotype print. Low Spirits, Anxiety, Grief, Dejection, and Despair. Heliotype print. Indignation and Helplessness. Heliotype print. But what's perhaps most interesting is Darwin's remarkable cross-disciplinary curiosity, a quality I believe is the key to combinatorial creativity. Though he never studied art formally, he had an active interest in art, read art history books, visited art museums, and mingled with the artists on his HMS Beagle voyage. Eventually, the sensibilities of art seeped into his work. 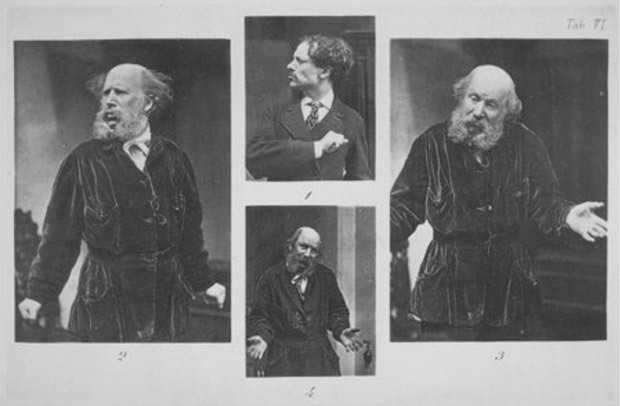 Prodger takes a closer look at many of Darwin's curated friendships -- Lewis Carroll, iconic photographer Julia Margaret Cameron, celebrated animal painters Joseph Wolf and Briton Riviere, sculptor Thomas Woolner, and many more. Disdain, Contempt, and Disgust. Heliotype print. Hatred and Anger. Heliotype print. 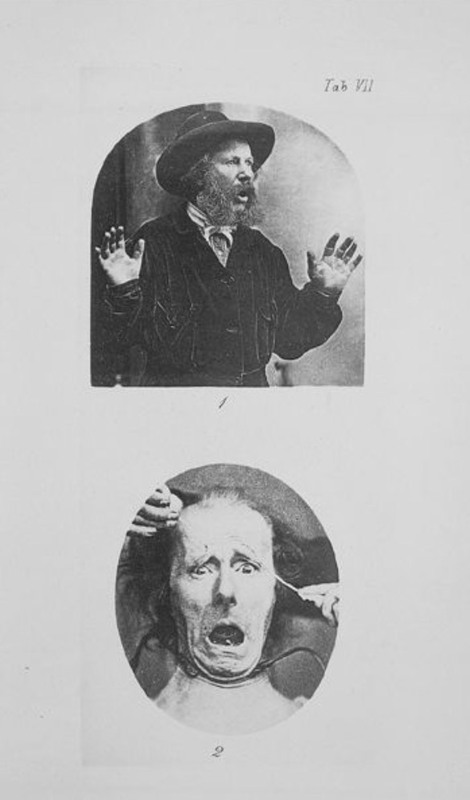 Surprise and Astonishment, Fear and Horror. Heliotype print. 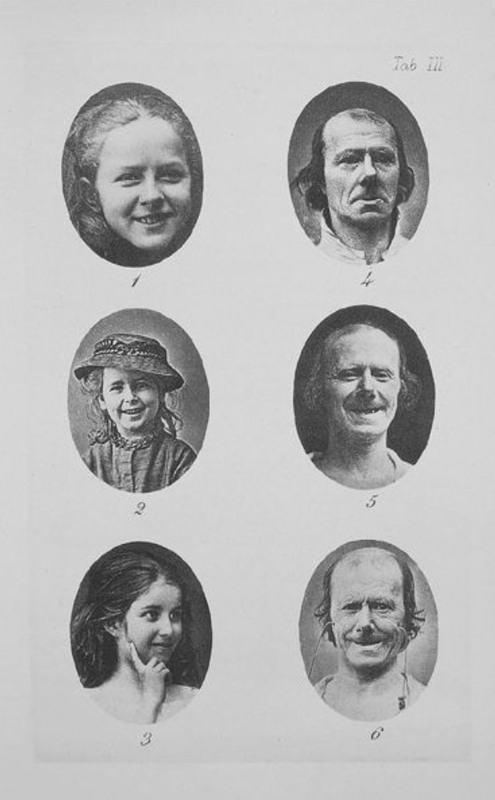 Researchers at The Darwin Project, an ambitious initiative to digitize Darwin's legacy and a fine addition to these seven important digital humanities projects, are currently crowdsourcing Darwin's experiment on emotions by asking you to name which core emotion each of Darwin's images conveyed. The experiment features 11 images and can be completed in under a minute -- give it a try. Rigorously researched and eloquently narrated, Darwin's Camera is an essential missing link in the evolution of visual culture at the intersection of history, psychology, and art. Images: Oxford University Press. H/T: How to Be a Retronaut.